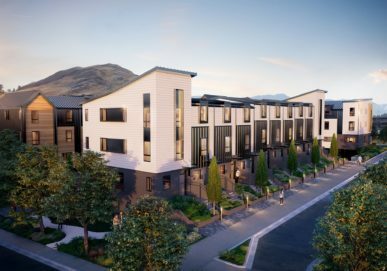 Explosive growth in Queenstown’s commercial and residential building sectors has led an innovative New Zealand company to focus its sustainable timber messages on the district. Abodo has been active in the New Zealand market for 16 years, born from a vision to offer an alternative to destroying endangered old-growth forests around the world. As an example, New Zealand imports of Canadian old-growth cedar have steadily increased over the years, adding up to 35% of all sawn timber imports into the country (around 30,000 cubic metres a year). But Abodo Director Daniel Gudsell says most New Zealanders do not realise that much of the high-grade cedar used across the country is from old-growth trees, which are often aged from 150 up to 2000 years old. He says the only real way for people to be sure they’re not ordering old timber log exports is to insist on Forest Stewardship Council (FSC) certified timber. In a bid to offer a sustainable substitute to irreplaceable old growth trees, Abodo harvests its high performance architectural and structural timbers from New Zealand plantation forests, primarily in Rotorua region. A newly-released Infometrics profile of the Queenstown Lakes district indicates a 20% rise in residential building consents, and 13% rise in non-residential building consents over a 12-month period ending September 2017, compared to a 3% and 5.9% rise respectively elsewhere in New Zealand. With the continued rapid growth of the district, Mr Gudsell is concerned about the lack of awareness of local alternatives for old-growth cedar. “The district uses a large amount of imported Canadian cedar cladding, but I’m not sure that people are aware that the Western Red Cedar typically comes from these ancient forests,” he says. “Just look around and you see it everywhere. 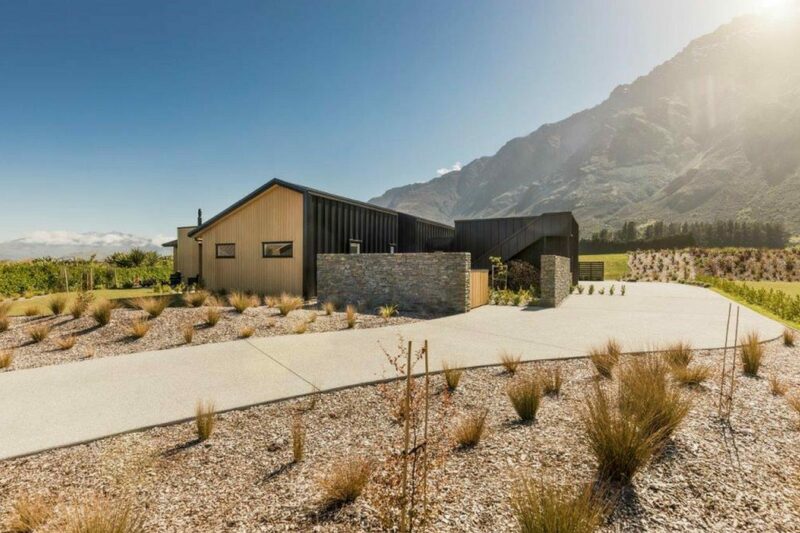 From the McDonalds on Frankton Road, to many of the new houses in Jack’s Point and Shotover Country, the cladding is imported Canadian old-growth cedar. “Our alternative timber cladding is certified by the Forest Stewardship Council, is durable in the alpine conditions of Queenstown and Wanaka and has a similar aesthetic to cedar. “Our unique patented technology ensures our timbers have exceptional weatherability to cope with dry summers and cold, snowy winters. From a global perspective, Abodo’s contribution to New Zealand forestry sits in line with the Government’s goal to plant one billion trees between 2018 and 2027. “It’s fantastic to see the government taking a shift in a better direction. The tree species they’re planning to plant includes radiata pine, redwood, totara, eucalyptus, Douglas fir and mānuka,” says Mr Gudsell. “Unfortunately, pine isn’t a durable or stable building material as it doesn’t weather well and needs to be chemically-treated before use. “Ninety-five percent of our New Zealand plantations are already pine and that’s why Western Red Cedar is the largest single species we import, as it’s a durable building material. To help generate awareness on a national level, Abodo, along with the Forest Stewardship Council (FSC), has facilitated the visit of a top forestry specialist from Canada to New Zealand to speak at two high-profile industry events. Ken Wu has been working to protect the old-growth forests of British Columbia for over 26 years and is in New Zealand this week in his capacity as executive director of the Ancient Forest Alliance (AFA). The AFA is a British Columbian organisation working to protect its endangered old-growth forests and to ensure sustainable forestry jobs in the province. Previously unaware that New Zealand had been importing large volumes of old-growth Western Red Cedar from B.C., Ken was delighted to accept the invitation. “Unless it’s coming from an FSC source, old-growth Western Red Cedar logging is very destructive,” says Ken. “It’s not only a big issue from an ecological perspective, but also economically and culturally, damaging the climate and our tourism. “Our ancient forests inspire wonder and awe in visitors from around the globe. We have some of the largest trees you’ve ever seen, growing as tall as skyscrapers and as wide as homes. They’re truly spectacular.